“You will have to travel widely,” a fortune teller told Christian Dior, when he was fourteen. Ingrained in his memory, this prophecy was fulfilled in 1947, when he went to the United States to receive his Neiman Marcus award, bestowed each year on fashion luminaries by the famous luxury department store. 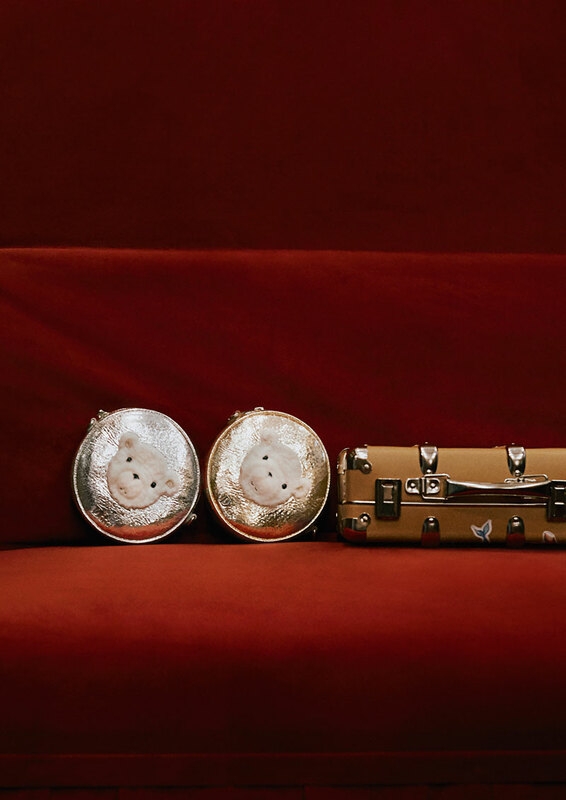 This destiny, of being called to travel from a young age, inspired Cordelia de Castellane for her spring-summer 2019 collection. 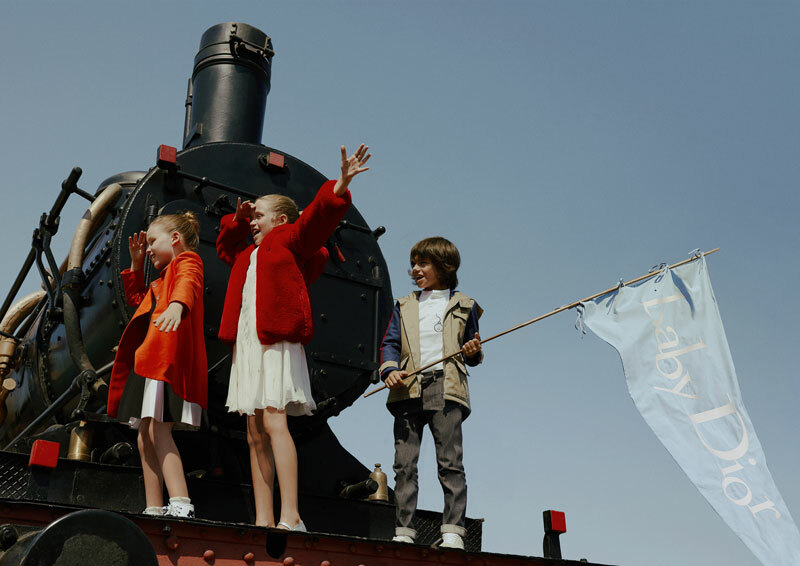 Wearing colorful pieces, the children join her to discover new horizons alongside Christian Dior. From India to Italy to Japan, this collection unveils the House’s heritage in the form of a story straight out of the imagination of the Baby Dior Creative Director. The saga starts in the land of the Arabian Nights, in the heart of a sumptuous palace. Echoing the setting’s fantasy, Cordelia de Castellane took silk and twinkling tulle and created fluid dresses of Persian red, ivory and gold. The escapade continues in Pondicherry. During this festive stopover, the boys get all dressed up to the nines. Tiger and elephant patches, sacred animal in India, as well as clocks, in a nod to the story’s magic watch, appear here and there on their clothes. Meanwhile, the girls glow in their Indian pink and saffron dresses, or in safari jackets ideal for their desert excursion. Arriving in the Land of the Rising Sun, the young troop discovers the excitement of Tokyo. Pleated skirts and cherry blossom fabrics, inspired by Japanese school uniforms and mangas, transform the girls into model students. For the boys, it’s all about denim. In indigo or gray, as a jacket with a detachable fur lining or as pants, it provides comfort and freedom of movement. On bikes or skateboards, the team is now heading down California’s grand boulevards. Pastel colors, embroidered rainbows and sparkling poplin evoke the electrifying atmosphere of the United States. The girls, in sequined blousons, walk along by the palm tree-bordered ocean. Finally, the odyssey draws to a close on a sunny afternoon in Naples. The young adventurers laze in dresses and jumpsuits with precious embroidery. As for the boys, in immaculate shirts and jackets with phosphorescent buttons, they’re already thinking about where they’ll go next!